In the lobby of our community theatre there is a sizable display of flowering and foliage plants, mostly gifts from friends of the theatre. One generous donation is this large orchid plant, which seems to be in constant bloom. 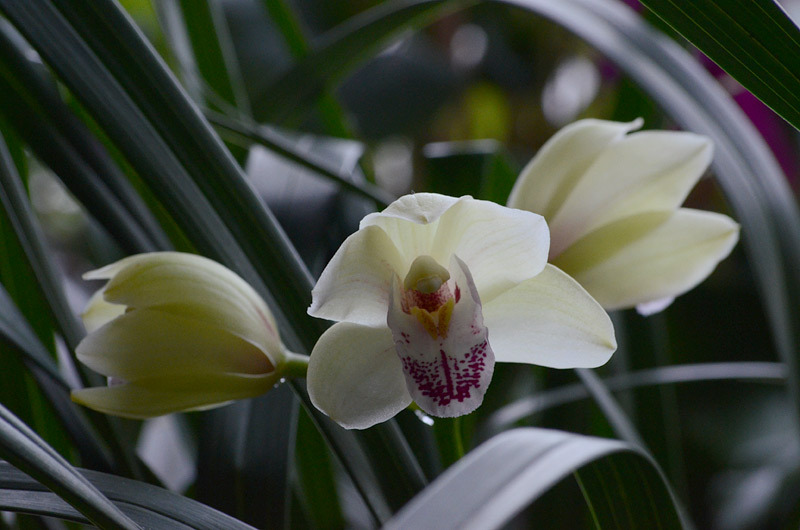 Despite the orchid family's reputation as a difficult plant to maintain, this particular specimen seems to savor its place in the spotlight, thriving on the attention it gets in the lobby as audiences come and go. I can only guess at the lighting available in a theater lobby -- this is quite interesting both for light and the angle... lovely orchid -- in the right spot they seem to stabilize ... what fun!